At Groton, we want to ensure that the finest applicants can join our community regardless of their families’ financial situations. One of the more persistent misunderstandings about independent school education is that it is not affordable. In fact, financial aid awards granted by Groton are, by and large, significantly more generous than those offered by American universities. Financial aid assessments at Groton are made with the assumption that families will eventually face the cost of a college education, too. Do not assume you will not qualify for financial aid. Families from many different income levels qualify for aid each year. 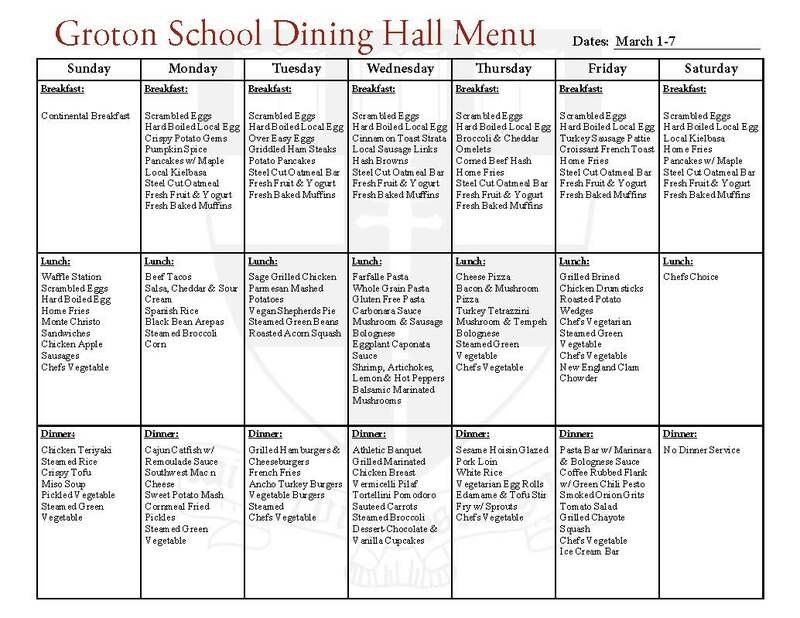 Groton is committed to inclusion. The popular depiction of boarding schools as places that only the wealthy can afford continues to prevent people from considering the option of this excellent form of education. Since 2008, Groton School has waived tuition, room, and board for students from families with incomes below $80,000. This policy reflects the School’s recognition that the great resources of Groton and the promise afforded by a Groton education should be available to all. Again, do not assume you will not qualify for aid. If you have any questions, feel free to contact Bill Riley, Groton's Director of Financial Aid, at 978-448-7510 or wriley@groton.org. Families who qualify for financial aid often find that Groton is their most affordable option. To a family, the amount of financial aid that a school provides is less important than the amount they must contribute toward tuition. 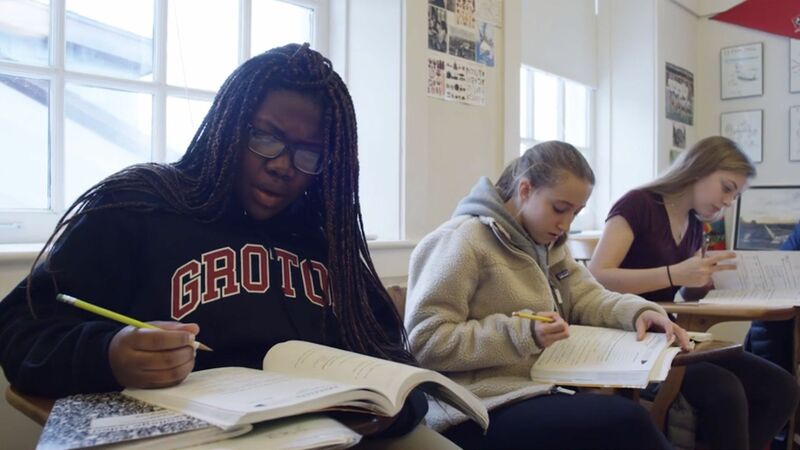 The charts on this page shed light on the generosity of Groton’s financial aid program as well as the school’s commitment to make the school accessible to families, of neither high nor low income, who sometimes assume they will not qualify for aid. One chart lists the number of families in different income brackets and what they were asked to contribute to their child’s education at Groton this year. The pie chart shows how many students are receiving aid in different income brackets. Please remember that while income is the primary driver in assessing a family’s contribution, we also consider assets, tuition expenses at other schools, the size of a family, debts, and other factors. Beginning in Oct. go to School and Student Services. Create your Parents' Financial Statement (PFS) online account with your email address and a password. If you applied for financial aid last year, simply log in to the PFS online as a returning family, using the email address and password you set up last year. Returning families are required to complete a PFS by December 15th. New families applying should finish a PFS no later than January 15th. After submitting your PFS you will be given instructions about uploading required documents to the "My Documents" section. Signed previous year (2017) W2, 1040, and all Schedules. Non-U.S. residents must submit official income/asset verification forms, foreign tax returns, and/or wage statements for 2017. All NEW & returning candidates for aid must complete the Parents' Financial Statement (PFS). We encourage you to submit this form to SSS as soon as possible. Groton School's SSS code is 3598. The School does not offer scholarships based on particular talents or attributes. Financial aid is for families who have a demonstrated need for financial assistance. If a family believes they will need financial aid at any point during a child’s time at Groton, they must apply for aid at the outset. Families will not be considered for aid if it is not requested during the admission application process. If a family’s financial circumstances change significantly, the School will make every effort to provide assistance. Groton School's financial aid committee will consider the financial resources of both biological parents. For divorced or separated parents, a separate Parents' Financial Statement (PFS) should be completed for each parent. Groton actively seeks students from all socioeconomic backgrounds. We allocate $7.1 million toward financial aid for our population of 380 students, and 42 percent of our students receive some degree of assistance. Be sure to apply for financial aid in a timely manner. The deadline for returning applicants is December 15. The deadline for new applicants is January 15. If you wish to submit required documents by mail, send to School and Student Services, P.O. Box 449, Randolph, MA 02368-0449. For overnight service, use: SSS by NAIS, Application Processing Center, 15 Dan Road, Suite 102, Canton, MA 02021. If you need help completing the PFS, contact our Director of Financial Aid William Riley or SSS customer service at 800-344-8328. I am not sure if our family will qualify for financial aid. Is it worth applying? If you are unsure whether you will qualify, you may contact our Director of Financial Aid Bill Riley for advice. From the School's perspective, if you question whether you will qualify but recognize that tuition will be a significant financial hardship, you should apply. Feel free to take a look at our income/financial aid chart, and don't hesitate to be in touch with questions about eligibility, forms, or any other matters. Decisions regarding admission to the School and decisions about financial aid eligibility are made independently by two separate committees. All families who are interested in financial aid are encouraged to apply. For nearly half of our candidate families, applying for financial aid is a normal part of the admission process. Groton's new GRAIN initiative allows the School to accept deserving candidates who in previous years may not have been admitted. Does Groton have any merit scholarships for which I can compete? No. All financial aid is awarded on the basis of demonstrated need, not upon academic, athletic, or other merit. We firmly believe all students who are admitted to Groton have sufficient merit and that our aid funds are best awarded only to those who truly need them. Does Groton award financial aid to students from foreign countries? Yes, international students are eligible to receive financial aid. Learn about the GRoton Affordability and INclusion (GRAIN) initiative and how it's making financial aid even more available to a wide range of students. What items do I need to complete my financial aid application? After completing your Parents' Financial Statement (PFS), all families must submit to a copy of their current and previous year income tax returns (1040), with all supporting schedules. We understand that preparing your tax returns in advance of the IRS deadlines is inconvenient. Please estimate your current tax information on the PFS. No financial aid award is final until the required official tax return is received. If you have a partnership or S Corp, all supporting documents, such as K-1's, form 1065, or 1120S, also must be submitted to SSS. Form 4506T is also required. If you have questions about what forms are required, don't hesitate to contact Sandra Rivetts at srivetts@groton.org or Bill Riley at wriley@groton.org or at 978-448-7510. Your admission decision letter will be mailed on March 10, and notification of your financial aid award will arrive a few days later. I've heard that sometimes free tuition is offered. How do I apply? Since 2008, Groton has offered free tuition to all families whose gross family incomes are under $80,000 per year. In this situation, the application process is the same as it is for any financial aid: you must submit the SSS form and your tax returns. Should you be accepted at Groton and fall within this income bracket, you will receive free tuition and expense money throughout your years at Groton, as long as your financial situation is unchanged. Can I enroll in a monthly tuition payment plan? Yes, an optional monthly payment plan for tuition is available with Smart Tuition. Smart Tuition offers nine- and ten- month payment plans. Please note that you must enroll for the ten-month plan no later than April 1, and you must enroll for the nine-month plan no later than May 1. There is a $50 per family per year charge for using Smart Tuition. How do you apply for financial aid at Groton School? To apply, all candidates for aid must complete the Parents' Financial Statement (PFS), available through School and Student Services (SSS) by the National Association of Independent Schools (NAIS). You may use the online version of the SSS application for aid. We encourage you to submit this form to the SSS starting in October. The deadline for returning applicants is December 15. The deadline for new applicants is January 15. Groton School's SSS code is 3598.